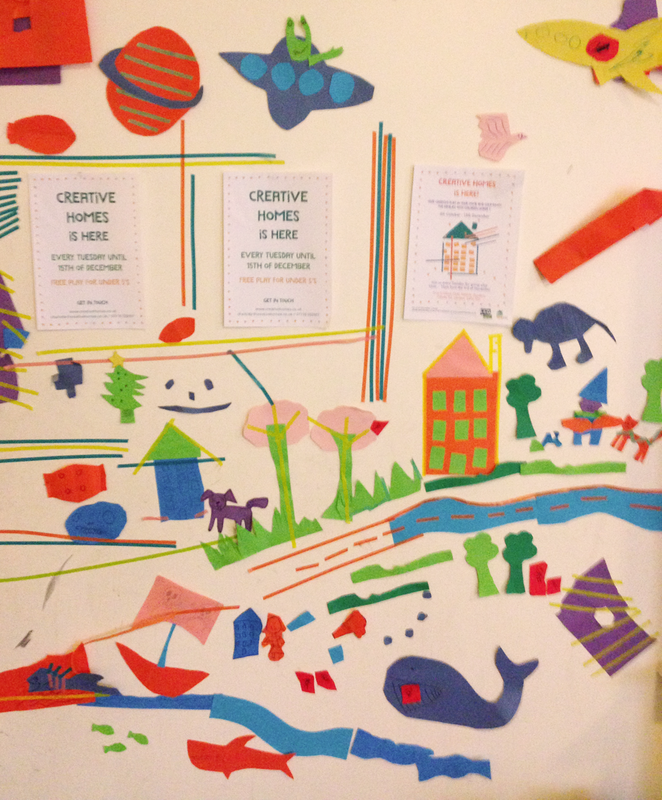 Creative Homes - Creative Homes is here! 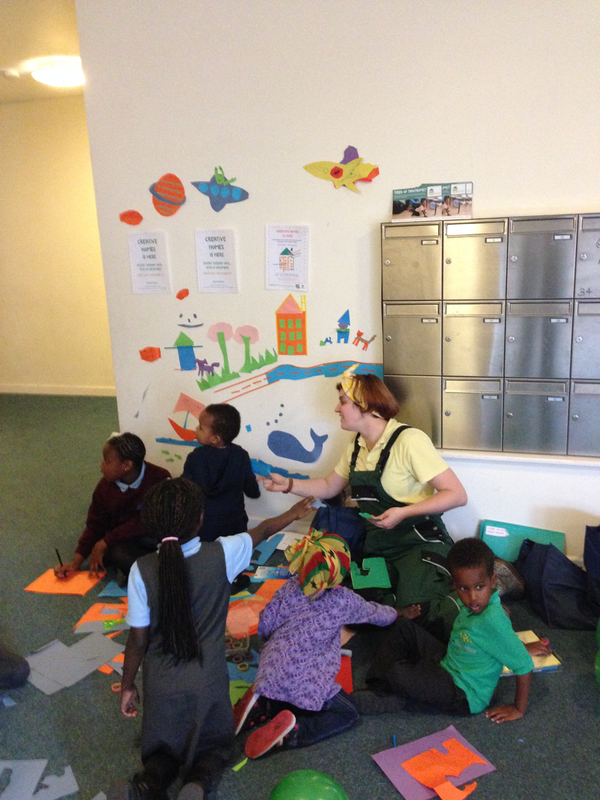 We’ve kicked off our hub to home project at L&Q’s Ira Court by making a mural in the tower block stairwell! 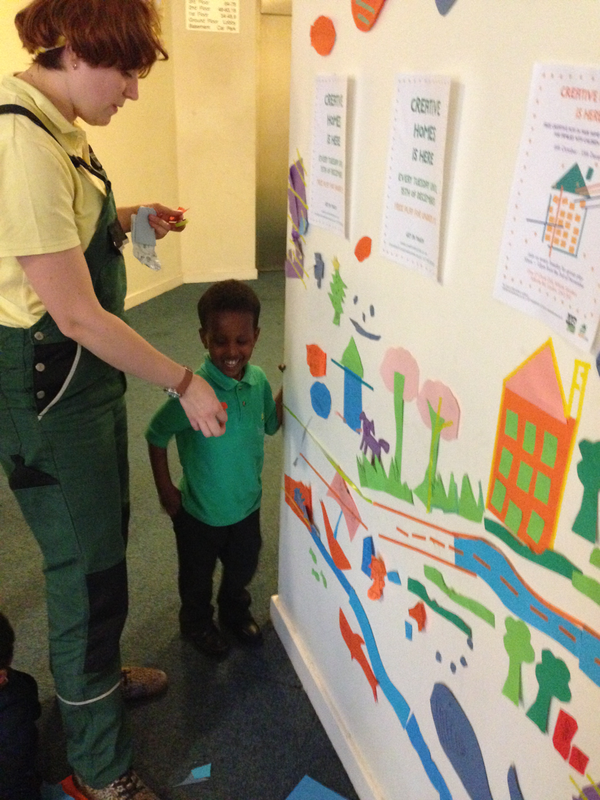 Making a mural of the local neighbourhood. We cut out lots of colourful shapes for our mural design. Getting a helping hand to glue on those tricky shapes! 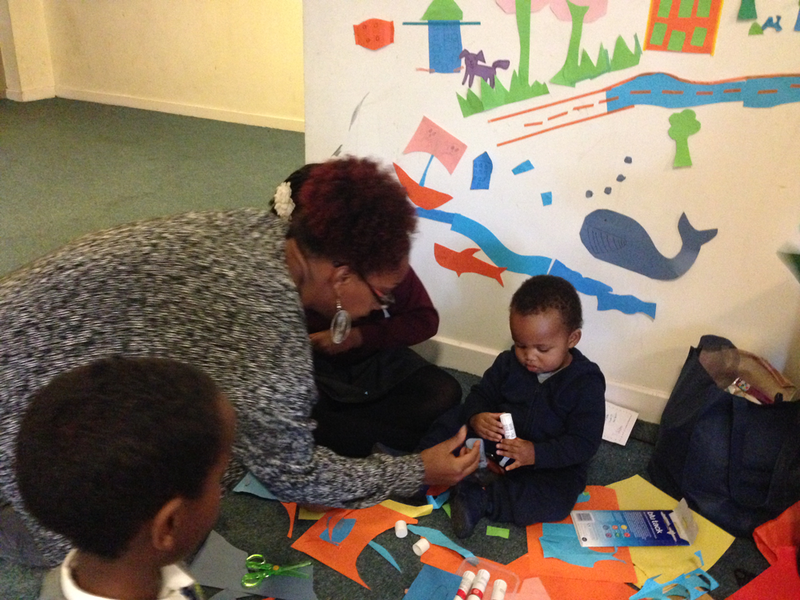 We had a lovely time meeting everyone whilst making our mural! It looks great!